Book EndNote Online training for easy referencing! There are spaces still available on next week’s EndNote Online workshop for undergraduates and masters students. Book your place via the ‘Library course bookings’ link on the RISISweb portal. The bookings link is located in the ‘Actions’ tab if you’re a student. If you’re a member of staff click on ‘Specialist Actions’ in the ‘Specialist Actions’ tab. This workshop is part of the Student Training and Experience Programme (STEP) and counts towards the RED Award. Check the EndNote training webpage for other dates when this workshop is running this term. There are spaces still available on the next beginner’s Desktop EndNote workshop for postgraduate students, researchers and staff. Check the EndNote training webpage for other dates for this workshop and sources of help with using EndNote. Take the stress out of referencing with our EndNote Web workshops! There are still spaces available on our upcoming EndNote Web workshops for undergraduates and masters students. Contact your Liaison Librarian who can offer individual advice on using EndNote Web. 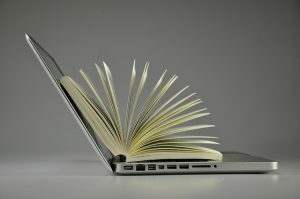 Book EndNote Web training for easy referencing! There are spaces still available on next week’s EndNote Web workshop for undergraduates and masters students. 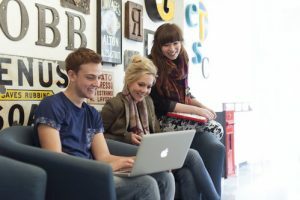 Video for teaching and learning – find out more at TEL Fest 2017! Recently we posted our Info Tip about some of our great Video streaming resources that you can use in lectures and course materials to engage students and bring some variety to your teaching and learning. If you are a member of Staff at University of Reading and would like to find out more the Library will be getting involved with some of the events at this week’s TEL Fest 2017! Tuesday 11 July, 13:00-14:00 we’ll be at the TEL Roadshow to talk informally about Box of Broadcasts and how you can use it in lectures, reading lists and BlackBoard. Come and join us in Carrington 201- no need to book, just drop in at 13:00 for a bite to eat and a chat! So come along and get involved in the festival experience! Staff and students with campus cards! 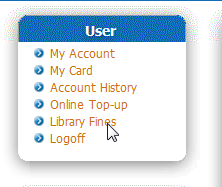 You, (but only you) can pay Library fines online! If you haven’t tried this before, here’s a guide on how to do it. 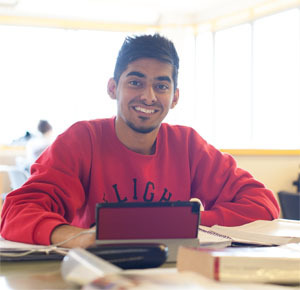 Go to the University of Reading Campus Card Portal at cardfinance.reading.ac.uk and login with your University username and password. 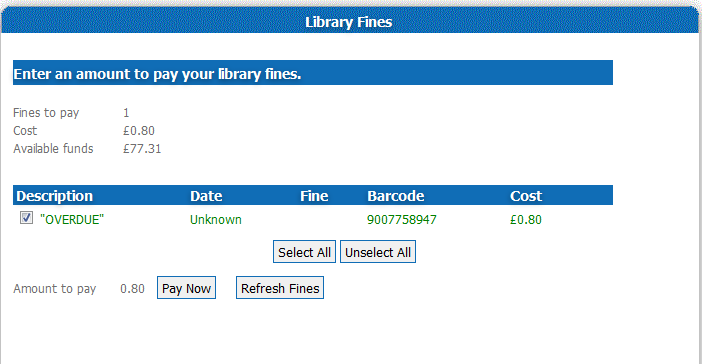 Click on the ‘Library Fines’ link on the left side of the page. This page will display how many fines/bills you have to pay and what available funds you have. Before you tick the box, the text below will be orange. Tick the box to select your fines. Now the box is ticked and your fines are selected, the text will turn green. Beside the ‘Pay Now’ button, you will see the total amount you are about to pay. Click the ‘Pay Now’ button to confirm the transaction. The total amount will be deducted from your available funds. Once the transaction is complete, red text will tell you how much in total you have paid. Your fines should now be clear. 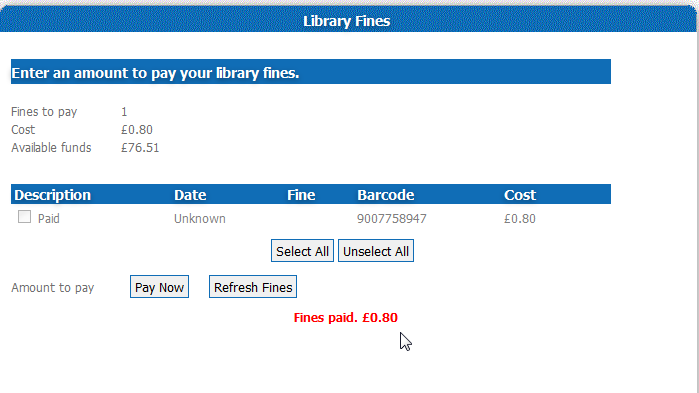 You can pay fines at either the Ground Floor Information Desk or Self-Service Point fines payment machines; or by payment card over the telephone (0118 378 8770) for amounts over £5.00.